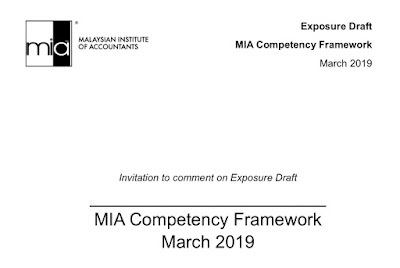 I was brought up in the heart of Kota Bharu, the capital of Kelantan at the East Coast of Peninsular Malaysia (or Malaya based on the Malaysian Agreement). When my parents were serving the government in Machang in the south, I was with my grandparents (my mom's untie and her husband - Nenek and Atok) who were childless but were responsible in bringing up few other family members will full of love and affection. Located at the Kelantan delta, towards the sea, flooding was a natural phenomena. 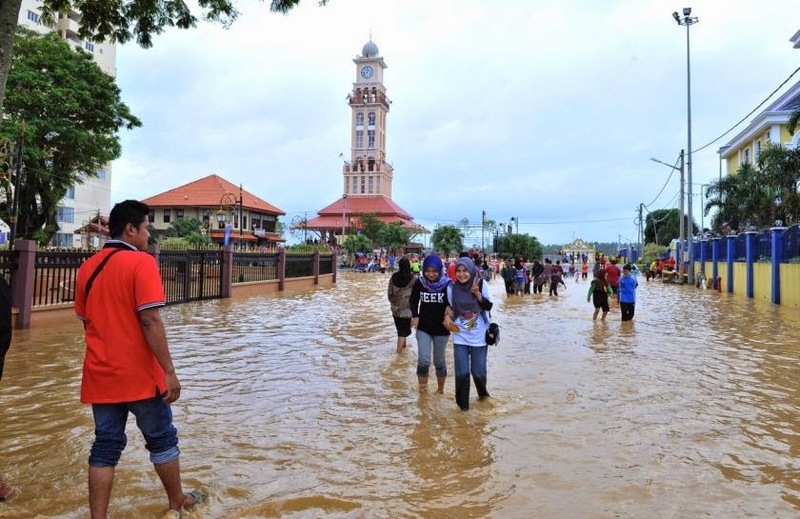 Flood is referred to as "Boh" in the Kelantanese dialect. It normally occurs when the North-East monsoon which blows from November until March bringing heavy rain to the highlands in the south and causing high waves which slows the flow of water form the Kelantan river into the South China Sea. Without much knowledge of weather forecasting or geography, many Kelantanese, Atok included, could read the weather patterns and guessed when the flood would arrive. We could also differentiate whether the flood was caused by local rain pour or from water flowing from the highlands based on the colour of the water. Atok, in his younger days, used to be a trader. He went to sell stuffs in Hulu Kelantan using bamboo raft and brought things back to Kota Bharu. I will write more about this wonderful Atok, a person who was very strict about honesty and integrity, later. Boh is something which not considered evil to many Kelantanese, then. Perhaps there were more trees which could absorb the heavy rainfall and slowed the flow of the water from the south to the Kelantan delta. Now, as people pursue their millions, logging is one of the keys to wealth, both for the loggers and those with power to approve logging concessions. When I was small, the colour of the Kelantanese river was blueish but now it is just like the "the tarik" as we know it. Even when those who are inclined to Islamic ideas are in power, I have not seen any changes in the logging practices in the highlands. Just wondering whether the Islam as believed by this group has no environmental protection element when Islam, as I understand it, treats environment protection as part of good governance, expected from any government. Flood or boh was celebrated as a sort of festivities, in most cases. I could hardly recall a time when they were catastrophic. I could still recall swimming in the cold flood water and most people would be moving around the flooded town with certain feeling of enjoyment. I was aware places which would be severely hit and people would need to be evacuated. Perhaps because these places were at the lowlands, we were not that sensitive to the sufferings of these unfortunate Kelantanese. Many senior Kelantanse would recall Boh Air Merah, one of the major floods where the colour of the water was reddish, as one of the severe ones which caused heavy damage in Kelantan. 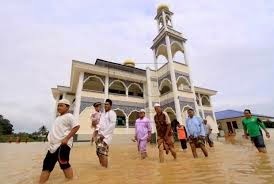 It is very sad to know many parts of Kelantan are flooded this few days, amongst the worst in the history of the state. Just by knowing the level of the flood water in certain places, whether they are at knee, naval or chest levels, I could gauge the severity. I was told that many areas which were not flooded before are experiencing severe flooding. Many people are stranded without supply of food. How do I know this? I have friends on the ground sharing with me the real situations on the ground which are not reported on tv. This is how technology has made the difference when disasters occur. No longer realities could be painted differently. One elements of flood is its predictability. While many will say, and I believe, that this is an act of god (what else happen without his command? ), I can't accept any excuse that those who are in charge of flood relief were not able to prepare themselves earlier. It will always start with heavy rain but that alone is not enough to create a disaster. When the wind start to be stronger, we will start to worry. And then, there are places which will be flooded EVERY YEAR without miss, and as mentioned earlier, this happen only as a particular part of the year. Off course the severity could not be predicted but those who are paid to do the job has no excuse for not being prepared. I salute Malaysians who have on their own accord arranged volunteer flood relief efforts, in addition to those from the authorities. This is also a new trend where volunteer works could outpace official efforts, in certain situations. When citizens have to take charge, what does this mean? How do we know the worse would be over, when Chinese New Year comes, as simple as that.